Finally, after to many change artist that will perform at Twin Towers @Live 2013 Concert in Malaysia. Here, they make officially announce the artist that will perform at Twin Towers @Live 2013 Concert in Malaysia. Before this, only a few artist confirm will perform at Twin Towers @Live 2013 Concert in Malaysia but still have change of the artist. For example, Rainbow and Girls Day. Before this, they confirm will perform on 23 March 2013 at Twin Towers @Live 2013 Concert but last minute cancel then change to IU. Then, suddenly IU also cancel last minute too. 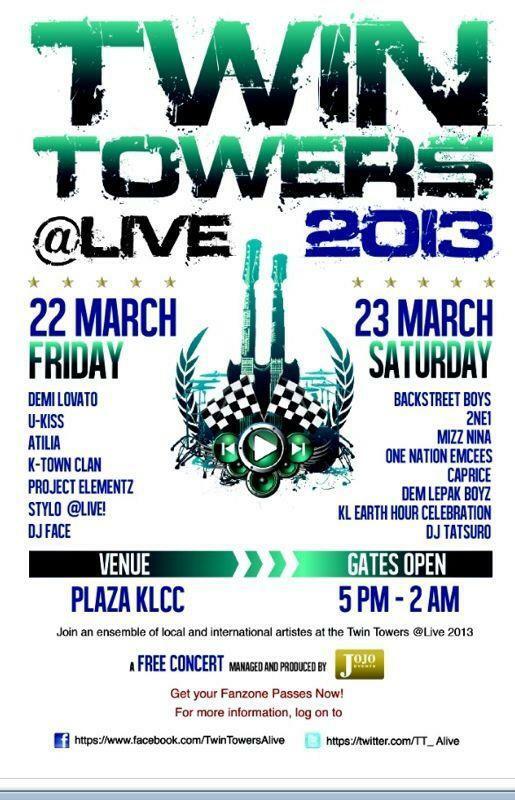 After that, finally 2NE1 make officially confirm to perform on 23 March 2013 at Twin Towers @Live 2013 Concert in Malaysia. On 22 March 2013, the artist that already confirm will perform for the opening day are Demi Lovato, U-Kiss, Atilia, K-Town Clan, Project Elementz, Stylo @Live, and DJ Face. On 23 March 2013, the artist that already confirm will perform for the last day are Backstreet Boys, 2NE1, Mizz Nina, One Nation Emcees, Caprice, Dem Lepak Boyz, KL Earth Hour Celebration, and DJ Tatsuro. 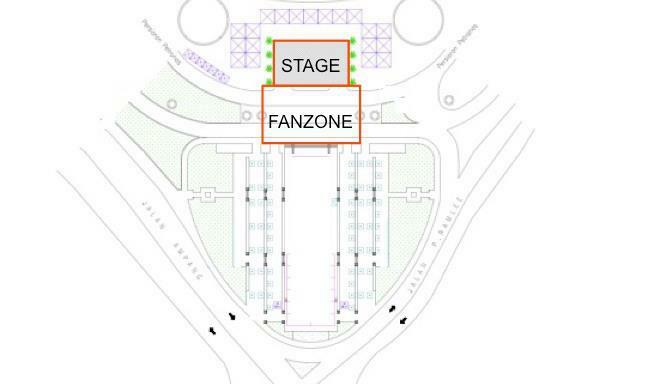 Actually, I already have pass ticket FanZone on 22 March 2013 only because before this I thought only Rainbow and Girls Day will perform on 23 March 2013 so I not take pass ticket FanZone on that day. Then, suddenly they make announce yesterday that 2NE1 will perform on 23 March 2013. I so sad that I not have pass ticket Fan Zone 2013.